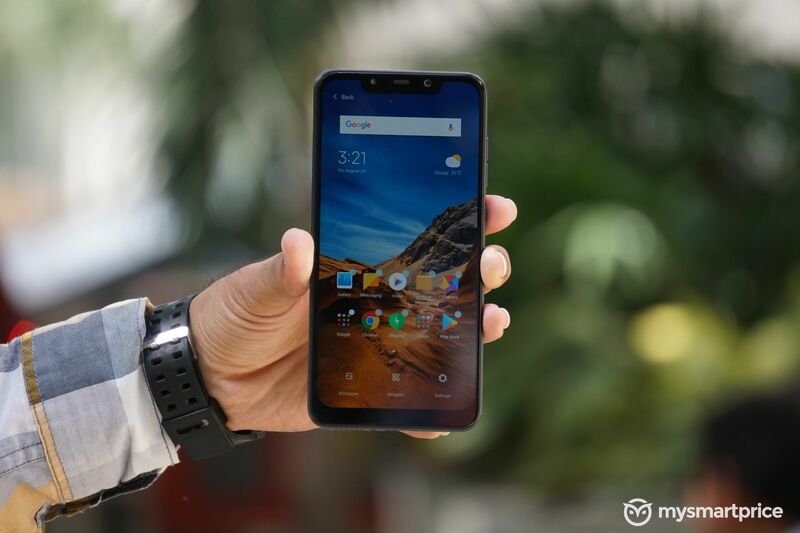 The Pocophone F1 will sell in South Korea for KRW 429,000, which is about INR 27,600. The handset will sell in only the standard variant, at least for now, so it will ship with 6GB of RAM and 64GB of internal storage. 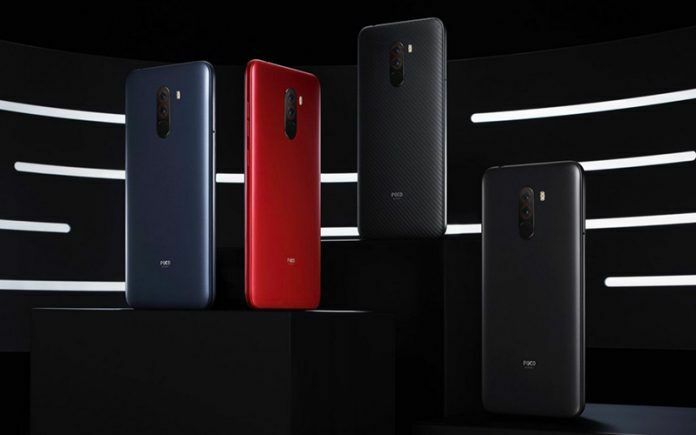 Xiaomi has finally launched the Pocophone F1 (Review) in South Korea, after making it available for sale in dozens of other countries worldwide. The phone was recently released in UK as an Amazon exclusive and it was first launched in India earlier this year. 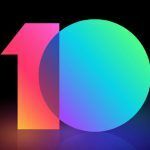 In Samsung-dominated South Korea, the Pocophone F1 will become the first Chinese handset to be sold by all three telecom companies: KT, LG Uplus, and SK Telecom. The Pocophone F1 will sell in South Korea for KRW 429,000 (which translates to about INR 27,600). The handset will only be sold in the standard model, at least for now, so it will ship with 6GB of RAM and 64GB of storage. In India, you get an 8GB RAM variant as well, called the Armoured Edition, and it packs 256GB of internal storage. Another variant available in India but not launched in the Korean market yet is the 6GB RAM model with 128GB of storage. Here, the handset sells at a starting price of INR 20,999 only. The handset was already selling well in South Korea as consumers have started to look out for options beyond the buffet of products sold by LG and Samsung. 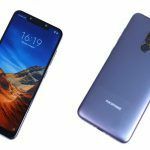 Since the Pocophone F1 was not available locally, the South Korean buyers were ordering it online from international websites such as AliExpress and GearBest, and it usually costs more to import phones. Now, though, the handset is likely to be well stocked and easily available for buyers, since all three telecom carriers in South Korea will be selling it. 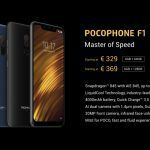 Chinese brands sell their smartphones with very little profit, and because the Pocophone F1 offers a flagship Snapdragon 845 chipset for the lowest price, the handset will come as a disruptive force in the South Korean market. As we have reported earlier, Xiaomi has already been giving a tough time to Samsung in the Indian market, and now, the Chinese brand seems to be bent on doing the same in Samsung’s home market too. The USP of the Pocophone F1, called simply POCO F1 in India, is the flagship Qualcomm Snapdragon 845 chipset that is manufactured from a new-age 10nm process and clocked at 2.8GHz. 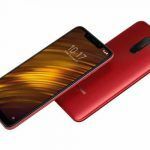 The display of the handset, however, is a regular IPS LCD unit spanning 6.18 inches and designed with a notch on top. The body of the handset is plastic, though, so there’s another dampener and it doesn’t feel or look as premium as most other phones equipped with the Snapdragon 845 chipset. But if you can live with the plastic body and LCD display, there’s good value for money here. The device sports a solid 4000mAh battery and is further supported by Qualcomm’s QuickCharge 3.0 technology for 18W fast charging. It recently received Quick Charge 4.0 certification. It gets a Type-C reversible USB connector, Bluetooth 5.0 Low Energy, dual-band WiFi 802.11 a/b/g/n/ac, and infrared-based Face Recognition (which is different from 3D IR Face Unlock). Camera gear is also impressive, with a 20MP front shooter that employs pixel binning and has an HDR mode. The dual-camera setup at the rear has a 12MP primary sensor and a 5MP depth sensor. The rear camera also gets dual-pixel phase detection autofocus, larger-than-usual-pixels, a wider aperture and dual-LED flash. It can shoot 4K videos as well but capped at 30fps rather than 60fps.